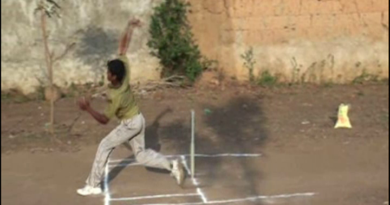 Leg break may be defined as the ball which pitches between leg and middle stump or pitches on leg or pitches outside the leg stump and turns towards the off stump or outside the off stump i.e in fact it breaks from the pitch or the line (when it hits the pitch) and turns away outside the off stump or towards the off stump. 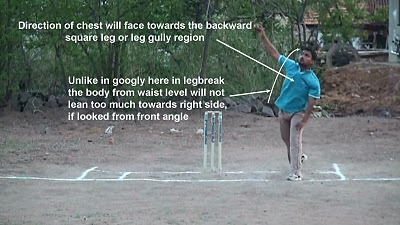 Since it always pitches in and around the leg i.e always deals with the leg that’s why it is called as Leg break. 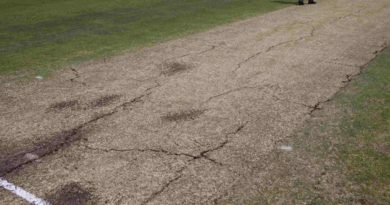 And the word “Break” is used because generally as the ball pitches it goes straight but here in leg break it doesn’t go straight, it pitches on seam and suddenly turns away from the leg stump to towards off stump, i.e where the word Break means it. 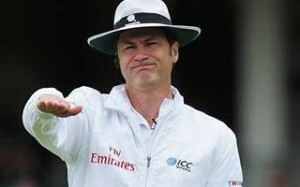 In fact it breaks from the line of pitch of the ball and moves away from that straight line.